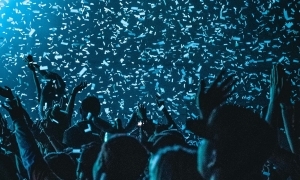 Tip pooling policies are a controversial topic in the restaurant industry – we decided to learn more about tip pooling policies and the effect they have on workers and customers. 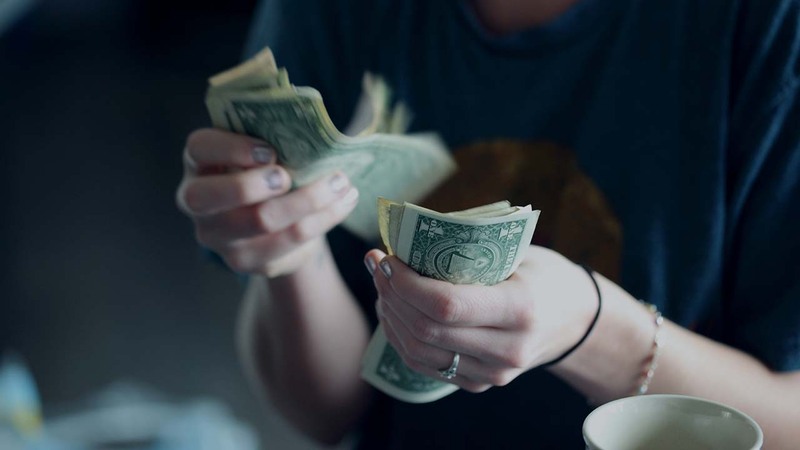 With the need to raise wages for kitchen workers, plus recent changes to federal regulations and laws governing the distribution of tips, tip pooling policies are an issue everyone in the restaurant industry is familiar with. As wages rise and competition for labor increases, it’s more important than ever to have all the facts about tipping, so we decided to survey our job posters to learn more and share our findings. 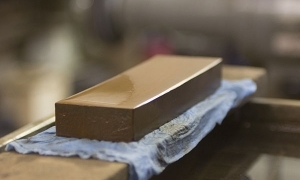 The first thing we wanted to know was, how common is tip pooling between the front and back of the house? 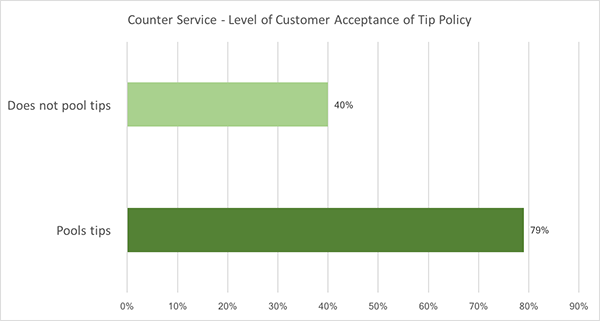 It turns out it’s less common than we assumed, with only 45% of restaurants of all types reporting they have a tip pool that includes the back of the house. We dug a little deeper and found that different types of restaurants had different tip pooling policies. This led us to wonder, for restaurants that do pool tips with the kitchen, how do their customers and workers feel about the policy? 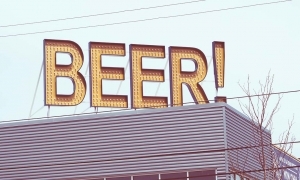 It turns out those answers also depend on the restaurant type. For Fine and Family Dining restaurants who pool tips with the kitchen, 60% reported their customers are receptive to the policy. 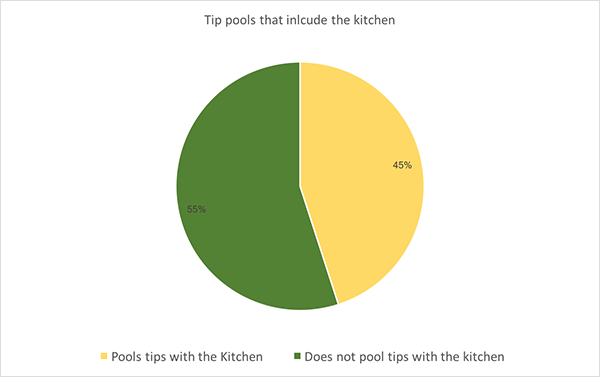 In contrast, for those who do not pool tips with the kitchen, 76% reported the same level of customer acceptance. When we looked at counter service, the opposite result was reported. 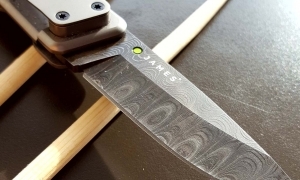 For Counter Service restaurants that pooled tips with the kitchen, the customer acceptance rate was 79%. For those that did not pool tips, the result was only 40%. Then we asked about the level of worker acceptance by restaurant type. 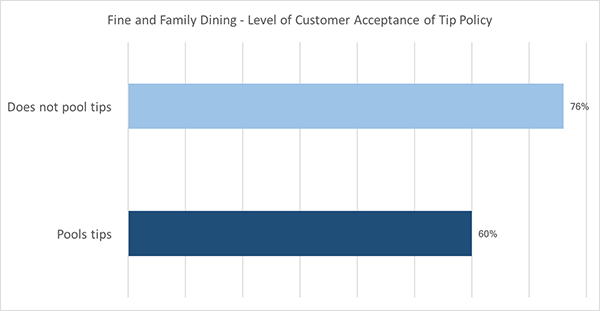 Counter Service restaurants with tip pools reported a whopping 71% rate of worker receptiveness to tip pools, while Fine and Family Dining only reported 23%. Clearly, there is much more expectation that a worker in a Counter Service restaurant will be in a tip pool with the kitchen. 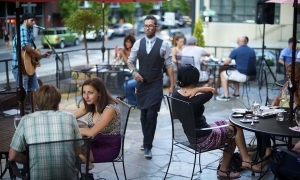 In short, for Fine and Family Dining restaurants, customers tend to be less receptive to tip pools that include the kitchen – but so do their workers. 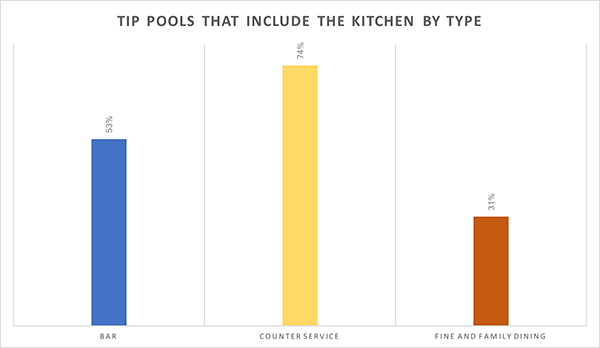 In Counter Service restaurants, both customers and workers have a higher expectation that tips pools will include the kitchen. The differences are most likely due to the nature of work in these different types of businesses. Counter Service workers are more likely to rotate or share roles, while Fine and Family Dining restaurants have more specialization in their workforce. Now that tip pools are legal, we will be keeping an eye on tip pool policies, as well as how accepted they are by workers and customers. One thing is for sure, tip pools will remain a topic of both conversation and policy as the labor market continues to tighten.